(Written Tuesday May 1, 21:31 Kenya time) We arrived back in Pokot around 8pm, and it felt like coming home again. The children all ran out to greet us, and every single one of them came up for a big hug. Many asked where mommy was, and I had to tell them that she'd be along either tomorrow or the next day. Unfortunately the legal business is keeping her in Nakuru longer than she would like. 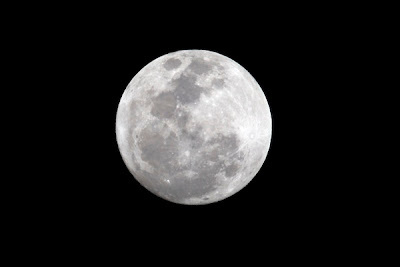 The moon is full tonight, and looks amazing. I took a few pictures between clouds. It really is quite stunning out here at night. Goodnight.